Sir Leszek Borysiewicz is a British immunologist and scientific administrator. He is currently the 345th Vice-Chancellor of the University of Cambridge. 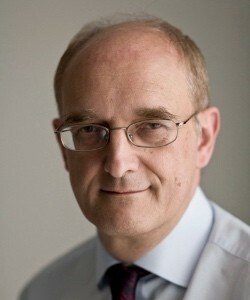 Borysiewicz was formerly chief executive of the United Kingdom’s Medical Research Council. He pursued a career in academic medicine at the University of Cambridge, where he was a fellow of Wolfson College, and then as a consultant at Hammersmith Hospital. Borysiewicz’s research focuses on viral immunology, infectious disease, and viral-induced cancer. He has co-authored and co-edited a number of books on these subjects, including Vaccinations.